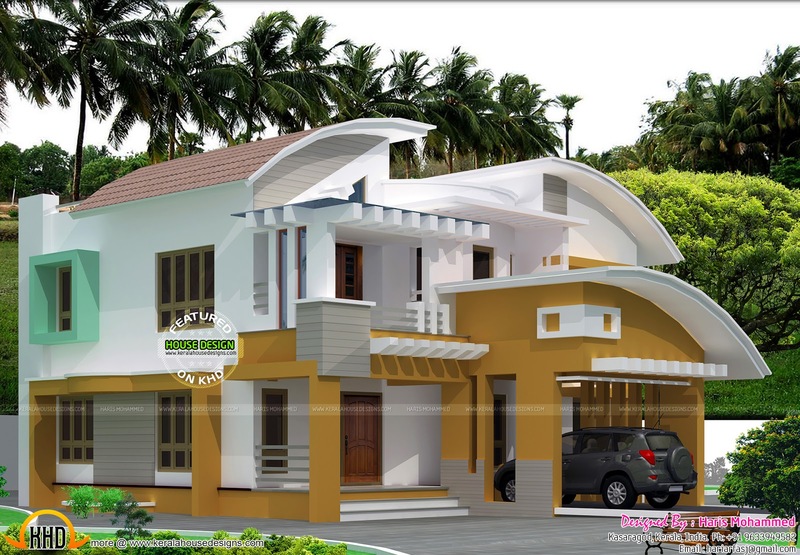 2370 Square feet (220 Square Meter) (263 Square Yards) modern mix roof house exterior. Designed by Haris Mohammed, Kasaragod, Kerala. Ground floor : 1331 Sq. Ft.
First floor : 856 Sq. Ft.
Porch : 182.70 Sq. Ft.
Total Area : 2370 Sq. Ft.